I'm hard at work trying to complete the belated list of our 20 favorite albums of 2008, so I'll keep this brief. The forthcoming album from The Decemberists The Hazzards of Love will be released on March 24 via Capital Records and right now you can download The Rake Song form the album free or charge. Just pay a visit to decemberists.com. It's time to get back to work, I must get this list done before February strikes. This weekend is choc full of quality Live shows. Sure the tempertures are in the negative, you could read that book by the fire or you can get out and catch some great bands playing your town this Martin Luther King Weekend. 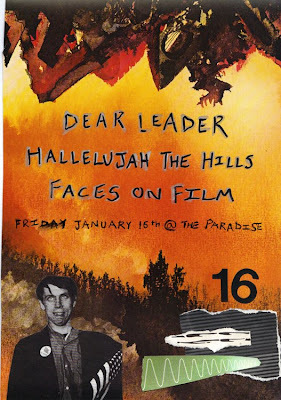 Tonight finds The Paradise hosting three of Boston's finest, Faces on Film, AGP favorites Hallelujah The Hills and Aaron Perino's Dear Leader. Saturday brings North Carolina's The Rosebuds to The Middle East, downstairs with support from The Love Language and Boston's popsters Fatal Flaw. This Sunday marks The return of Selkirk Scotland's Frightened Rabbit to Boston. The band has continued to recieve critical acclaim for there sophomore album The Midnight Organ Fight, deservedly so. You may have noticed that they've been named in just about every year end list worth a damn. Frightened Rabbit play Great Scott with David Karsten Daniels and Pants Yell!. The Show is sold-out so if you're lucky enough to hold a ticket enjoy. The book and your DVR will still be there on Tuesday I promise. 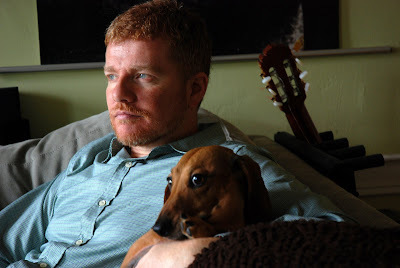 The New Pornographers frontman Carl Newman aka A.C. Newman is set to return with his second solo album Get Guilty. The album's release is set for this Tuesday, Inauguration Day via Matador. Get Guilty was recorded last summer at Brooklyn's Seaside Lounge with Phil Palazzolo. Some notable guests show up on the new album including Jon Wurster (Superchunk), Nicole Adkins and Mates of State. Newman is streaming two of the albums tracks, Submarines of Stockholm andThere are Maybe Ten or Twelve over at his Myspace page. On February 20th A.C. Newman will kick off a tour in support of Get Guilty in Vancouver before playing two Boston area shows in March. On January 20th Animal Collective will release there new album Merriweather Post Pavillion. To say there's a bit of a buzz building around this release is putting it mildly. With a 9.6 review over at Pitchfork and Stereogum hailing it as a masterstroke, bloggers and critics alike are working themselves into a lather with excitement over an album that won't see the light of day for two more weeks. Animal Collective are a band that have lived up to there hype in the past and judging by My Girls, the track streaming over at there Myspace page they're poised to do it again and quite possible exceed all expectations. The vinyl enthusiasts will get first crack at hearing the new album as it was released this past week in limited quantity. When I stopped by local Newbury Comics they had not received any copies of the album. I guess that's the price I pay for living in the sticks. Here's the run down from the bands label,Domino Animal Collective’s 9th full length album, Merriweather Post Pavilion, will be released early on deluxe 2xLP 180 gram gatefold vinyl with full album download (WAV or MP3) January 6th, 2009 in North America. The CD & digital release date will remain January 20th (Jan. 12 UK/Europe). It's fitting that our first post of the new year is an update on not only our favorite artist but the namesake of this blog, Robert Pollard. We also have some audio to share, a sneak preview of two tracks from the upcoming releases. According to our friends at Magnet Magazine Pollard has six albums in the can and set for release this year. Things will get started later this month with the release of his new solo album and coming in May we will be treated to Cosmos Jar of Jam Ton of Bricks a postal collaboration with Richard Davies (Cardinal & Moles). As per the norm with these collaborations Pollard provides lyrics and melodies over the Davies supplied instrumentation. We can also expect hear Davies providing vocals on four of the albums tracks. Let's just say were awful excited to hear these, but were especially giddy about the soon to be released 2nd album from Boston Spaceships The Planets Are Blasted. 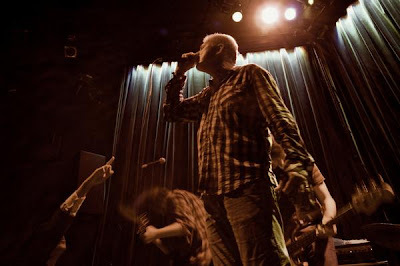 All releases will come via Pollard's Guided By Voices, Inc. Check out these sneak previews from Boston Spaceships & Circus Devils! Thanks to Nina Sabatino for the use of her Live shot of Boston Spaceships.